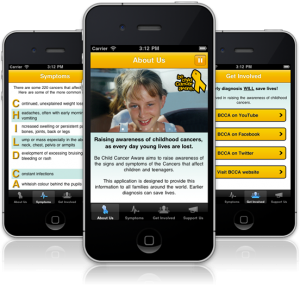 BCCA has recently delivered 3,000,000 Signs and Symptoms Awareness Cards to over 10,000 UK schools. We have had numerous requests from many countries asking for the cards to also be delivered to schools around the world. This is not feasible due to funding however, we have been working on a new iPhone Application as a means to getting this information out to as many people around the world as we can. This is the first application of it’s kind and we are delighted to now be in a position to release this application. Please download the application and share with your family and friends via your social networking pages. Help us to help the 200,000+ children each year that are diagnosed with childhood cancer. 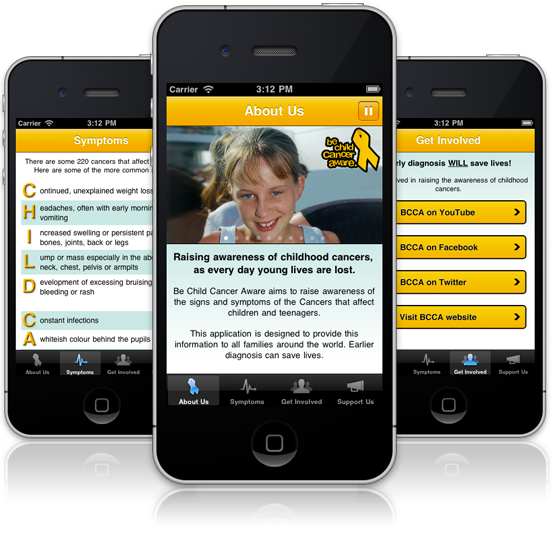 We are extremely grateful to 57Digital Limited for their work and support in providing this application for BCCA. Please visit their website for more information about the company.